Firestorm set to appear in new cartoon – Justice League Action? Looks like there is a new JLA cartoon on the way… Justice League Action! And this time it appears that Firestorm has been invited to the JLA clubhouse! Check out the poster below on the far right. This photo originally appeared on Reddit and is suspected to have been taken in one of Warner Bros.’ Burbank offices. 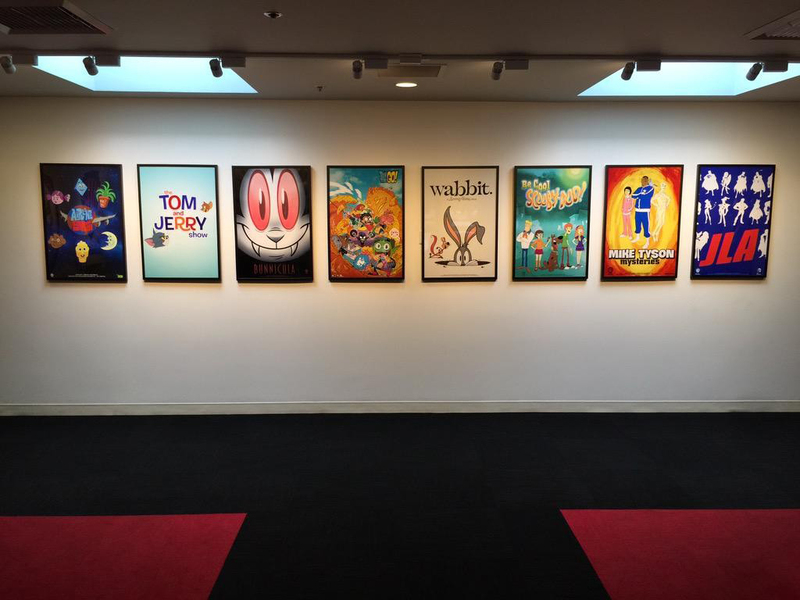 These posters showcase the line of current series and new animated series being released in the coming months. 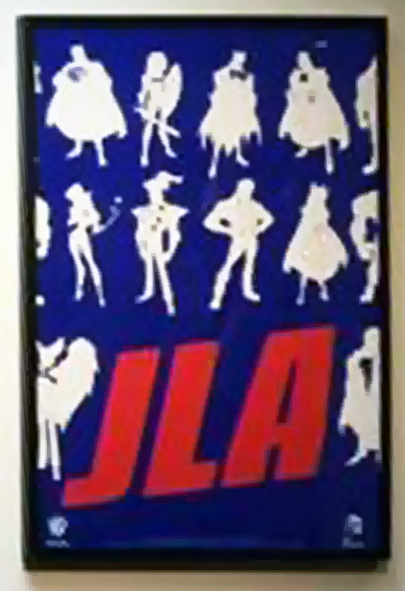 Now let’s zoom in on that JLA poster. Notice the figure above the “J” and the “L”? That’s a pretty distinctive silhouette! Looks like our favorite match-head will make an appearance! The name has been confirmed on a few sites, but here is a link to The Animation Blog. At the end or August, they listed Los Angeles production work for animated series, including “Justice League Action” under Warner Bros Animation. Finally, for more information and speculation on which network it may air, check out the article over on The Nerdist. As we find out more, we’ll be sure to share it here! My thanks to Keith G Baker, Jeff DeWitt, Aaron “Head”Moss, Xum Yukinori, and anyone else I’ve forgotten for the heads-up on this possible new series! Posted in: Cartoons, Firestorm #01: Original (Ronnie/Martin), Justice League of America. ← My Firestorm-y Dragon Con 2015! Goofy title and the figure shapes look a little too cartoony for my tastes but I’m hopeful it will be well done. I mean, I can go either way. Batman Brave and the Bold was the best DC show ever in my opinion. Teen Titans Go is right up there. Timm’s JL was really well done, but of course Firestorm never made it in. I tried but couldn’t get into Young Justice and Beware the Batman was an unfortunate mess. But man, I can’t help but think of Super Friends and all the merchandising opportunities they’re missing out on by not having a quality JL product on screen every year. Batman Brave & The Bold was terrible, and had easily the worst version of Firestorm ever. Well it’s all subjective, I guess. My kids and I like a good dose of humour in some of our cartoons and Brave and Bold delivered on that front. Not a great show if your taste leans towards serious storylines, but seeing Batman eating nachos and Ronnie Raymond as the disembodied advice-giver was a hoot in my opinion. I hope this is happening! Keeping my fingers crossed! Do my eyes deceive me, or is that perhaps Aquaman next to Firestorm? Ohh man, I would kill for a return of the Timm League, but this title sounds somewhat Batman B&B flavored to me. Still, that could be fun. Color me curious.